The benefits of a conscious beauty routine, one that incorporates more natural products sans ingredients like phthalates and parabens, go well beyond glowing skin and healthy hair. For many women of color, constant and continual use of these products may have dire consequences. For that reason, many Black women are making a concerted effort to buy products that align with their new attitude towards health and wellness. 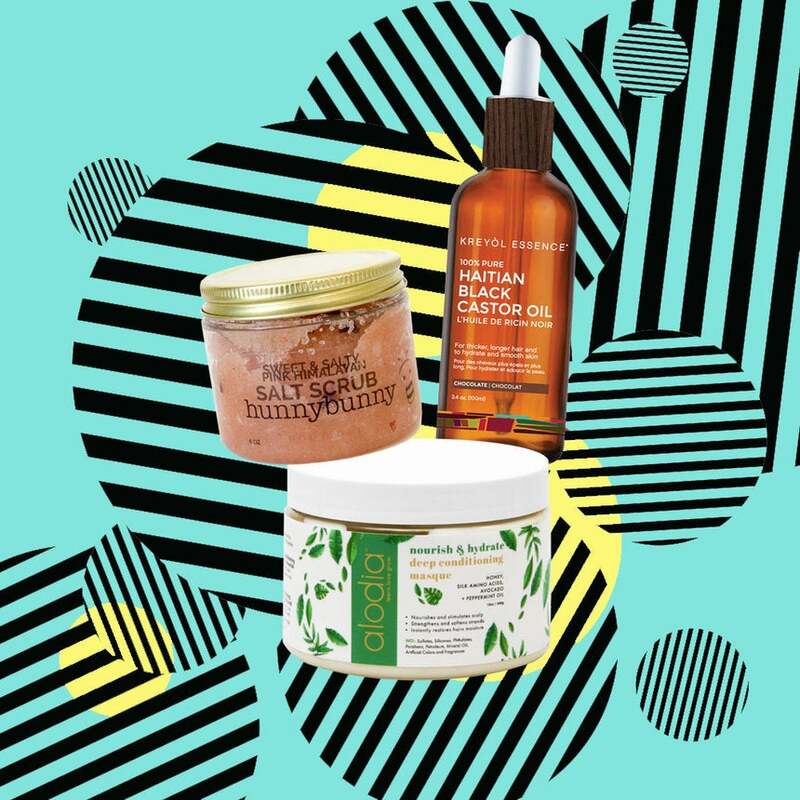 There is certainly no shortage of options when it comes to beauty products, but shopping for holistic and ingredient-conscious items, made exclusively by Black-owned brands, is still challenging. Thankfully, Kristian Henderson is making it easy for Black women to clean-up their beauty routines with her e-commerce platform BLK+GRN. Founded on the mission to connect people with high-quality, toxic-free, products BLK+GRN not only cultivates wellness but also supports Black artisans. Henderson tells ESSENCE, that it was two key movements — buy Black and the green movements — which inspired her to launch her business. “The buy Black movement is an acknowledgment of tremendous buying power of the African American community and the realization that we can literally vote with our dollars. While the green movement is the idea of removing toxic chemicals from our diets and products and instead using the power of plants and nature to heal and thrive,” she says. So after years of working in public health as a hospital administrator at Johns Hopkins Hospital in Baltimore, a professor and a yoga teacher, she created a platform that successfully allows Black people to be politically and socially conscious with their consumption decisions. “I loved the idea that we can build our communities by supporting small businesses and entrepreneurs,” shares Henderson. Balancing margin and mission is at the core of what Henderson strives to do with BLK+GRN. Empowering the Black community to take ownership of their health decisions, which includes the products we use, while also funneling the dollars we spend back into the businesses of our brothers and sisters, is of the utmost importance. There’s no denying that women of color have been left out of the Western green movement, despite having the most to gain from it. Yet, as traditional representation continues to be challenged, the tide has slowly begun to turn. More Black women are demanding to see themselves reflected, and also starting companies rooted in their own wellness philosophies. Henderson believes, “the wellness movement is forcing Black women to redefine what it means to be a happy Black woman.” It’s also pushing many of us to consider what daily self-care looks like and how to create routines that help to sustain ourselves. By featuring high-quality all-natural products, from brands like Hanahana Beauty and Kreyol Essence, BLK+GRN is making holistic beauty products more accessible and less intimidating for Black women to navigate. The website, which features a healthy selection of products for body, face and even nails, offers a mix of well-known and emerging brands. When shopping on BLK+GRN, there’s an element of discovery and personal connection that many larger beauty retailers lack. The brand’s blog, which features articles on how to incorporate herbs into your wellness routine and the top ingredients to avoid in self-care products speak to the heart of what Black women in wellness are talking about. Caring for ourselves, mentally, physically and spiritually is a radical act and by providing people with a customer-centered platform to discover products from all-natural, black-owned brands, Henderson is committed to being a part of this revolution. “We have made enough progress that has finally allowed Black women to begin to focus on wellness and happiness,” she says.